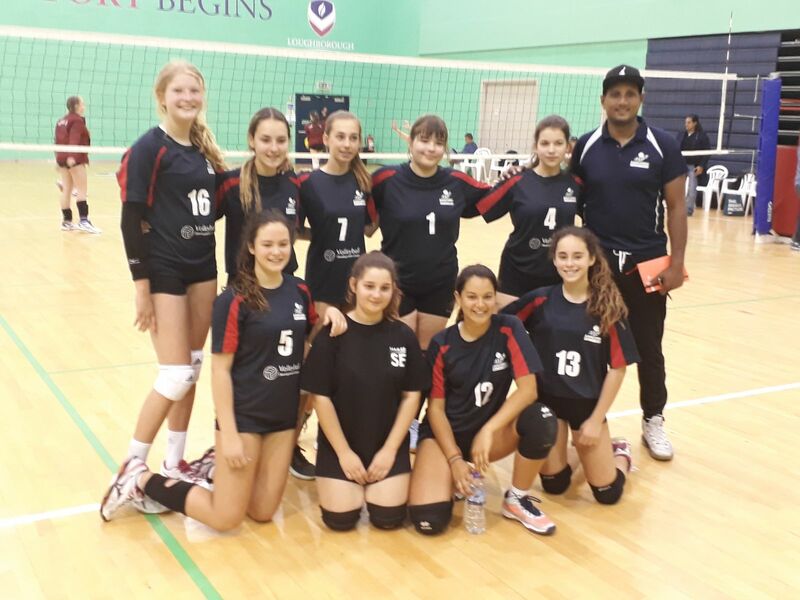 Ashcombe Under 15 squad traveled to Loughborough to play in the Volleyball England Last 6 National Finals on Sunday 13th May. The team lost their first match 2-0 to old rivals Tameside from Manchester and then went on to beat Boswells [Essex] 2-1. They faced the eventual winners Richmond in the semi final. Ashcombe team: Paula Sanchez, Lucia Sanchez, Agata Rychlik, Bernadet Soti, Hattie Breaden, Emilia Vakeva-Baird, Cesca Lovesey, Nanda Joao and Luiza Zeitune. Coach Jean-Max Sourmarie.